Weimar // "that it goes well with me here." Martin Luther preached here in the city church of Ss. Peter and Paul, (today the “Herderkirche”) many times during his stays in Weimar between 1518 and 1540. 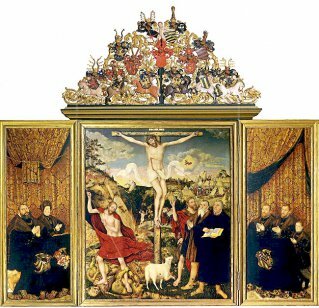 Inside, one can see both the pulpit from which he preached and the triptych altar painting by Lucas Cranach the Elder and his son, Lucas Cranach the Younger. The altar in the city church of Weimar belongs to the major works of art, which represent Lutheran doctrine. It was begun by Lucas Cranach the Elder and completed by his son in 1555. Next to Lucas Cranach, who is touched by the stream of Christ’s blood, it depicts the Great Reformer, who stands there pointing to the open Bible. Martin Luther preached here in what was once the Franciscan monastery church at the Wittums Palace. The remains of the monastery are used today by the “Franz Liszt” School of Music. A memorial plaque at the former monastery of the “barefooted ones”, as the Franciscans were called, informs visitors about Luther’s visits to Weimar. Luther stayed in the monastery on many occasions. 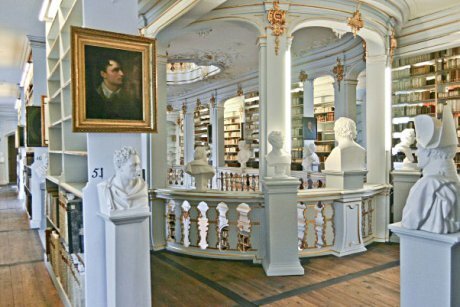 Weimar is home to a plethora of important examples of the material culture of the Reformation era. Among them is an extravagant Luther Bible from 1534 from the Anna-Amalia Library collection – a one of a kind Bible collection. 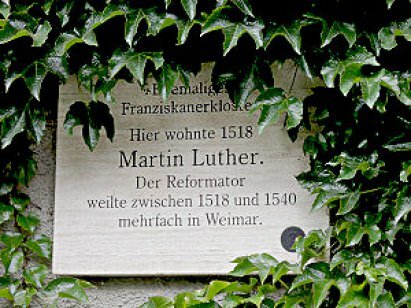 The connections that Martin Luther and the Reformation share with Weimar are closer than is generally known. Between 1518 and 1540, Luther visited this city on the river Ilm many times – often while on the way from one city to another. Since 1485, Weimar belonged to the realm ruled by Ernestine Line, which also included the Residence in Torgau and the university town of Wittenberg. Luther spoke here at the court of his rulers, Electoral Prince Johann des Beständigen (John the Constant) and later Johann Friedrich des Großmütigen (John the Magnanimous). He consulted with those responsible about the advancement of the Reformation and also took instruction in the same. Elector Johann Friedrich also brought Lucas Cranach to Weimar. 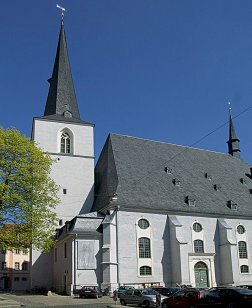 During his stays in Weimar, Luther preached many times in the castle church (“Schlosskirche”) and in the city church of Ss. Peter and Paul, known today as the “Herderkirche” (Herder’s Church). Luther’s last visit to Weimar was on account of his friend and “comrade-in-arms”, Philipp Melanchthon, who was deathly ill. He survived the illness and regained his health. 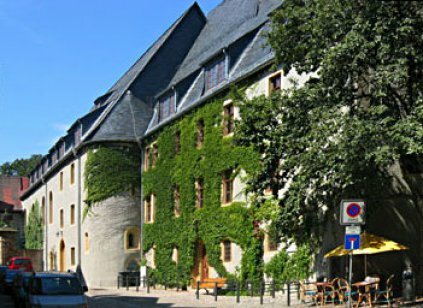 You would like to walk in the footsteps of Martin Luther through Weimar? Is Weimar even a real Luther site? He never even lived here. But he was here, and not only passing through. On a walking tour of the city, you will find out what the palace, the market, the city residence, and the city church of Ss. Peter and Paul all have in common with Martin Luther. You can see the famous Cranach-Altar on a tour of the city church.